Evan joined Watsi on May 29th, 2013. Two years ago, Evan became the 2383rd member to automatically support a new Watsi patient every month. Since then, 2,694 more people have become monthly donors! Evan's most recent donation supported Tumushabe, a woman from Uganda, to fund a mass removal procedure. Evan has funded healthcare for 66 patients in 13 countries. Rithy is a construction worker and painter from Cambodia. He has one son and two daughters. He likes to spend time with his family when not working. A year ago, Rithy developed nasal polyps, noncancerous growths in the lining of the nasal passage. For this reason, he experiences nasal congestion, a runny nose, and difficulty breathing. It is difficult for him to breathe and sleep. When Rithy learned about our medical partner, Children's Surgical Centre, he traveled for half an hour seeking treatment. On December 12, doctors will perform a nasal polypectomy to remove the polyps. After recovery, he will be able to breathe more easily. Now, he needs help to fund this $267 procedure. He says, "I hope I can breathe normally and don't have nasal congestion after the surgery." 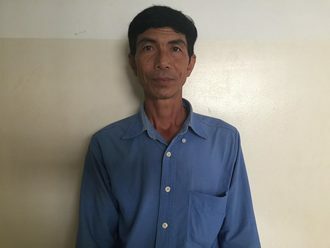 Tang is a rice farmer from Cambodia. She has one brother and two sisters. She likes to watch TV and listen to music in her free time. Five years ago, Tang had an ear infection. This infection caused the tympanic membrane, or the ear drum, in her right ear to perforate. For this reason, Tang experiences discharge, tinnitus and hearing loss. She has ear pain and difficulty hearing. Tang traveled to our medical partner's care center to receive treatment. On January 2, she will undergo a myringoplasty procedure in her right ear. During this procedure, surgeons will close the perforation. Our medical partner, Children's Surgical Centre, is requesting $423 to fund this procedure. This covers medications, supplies, and inpatient care. She says, "I hope that my ear heals soon and I can return to work." 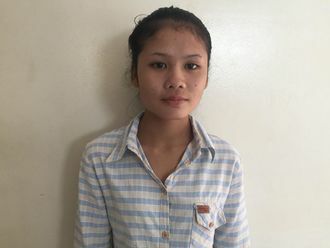 Srey Nith is a three-year-old girl from Cambodia. She has one brother and one sister. She likes to play with her siblings, watch TV, and go for walks. Two years ago, she was burned by an electric pot on her three left fingers. Burn scar contractures have developed, tightening the skin around her burn. It is difficult for her to bend her fingers. When Srey Nith's family learned about our medical partner, Children's Surgical Centre, they traveled for one hour seeking treatment. On January 8, surgeons at CSC will perform a burn contracture release surgery to to help her use her fingers easily again. Now, her family needs help to fund this $448 procedure. Her father says, "I hope my daughter can use her fingers again easily." Ma Hla is a 51-year-old woman from Burma. She lives with her 55-year-old husband in Min Ywar Village, Thanatpin Township, Bago Division. Ma Hla was diagnosed with a heart condition that involves a malformation of the mitral valve, the valve between the left atrium and left ventricle. This valve controls the flow of blood, but certain conditions may cause blood to flow backward or the valve to narrow. Currently, Ma Hla feels very tired when she walks. Sometimes, she also feels very tired at night, and she is not able to sleep properly. 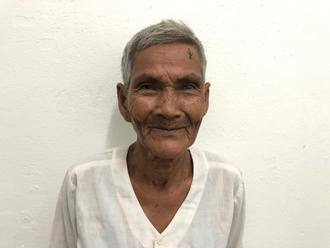 Our medical partner, Burma Children Medical Fund, is requesting $1,500 to fund a mitral valve replacement for Ma Hla. The treatment is scheduled to take place on December 23 and, once completed, will hopefully allow her to live more comfortably. “After I recover from my heart surgery, I want to sell vegetables from my farm,so that I can support my family’s needs,” says Ma Hla. Michael is a young student from Kenya. He has three siblings. In 2009, Michael and his sister were preparing food when he accidentally was burned by cooking oil on his hand and neck. His burns healed but turned into contractures, which limit his movement. Fortunately, our medical partner, African Mission Healthcare Foundation, is helping Michael receive treatment. On November 26, surgeons at their care center will perform a burn contracture release surgery to help him move his head more freely. Now, he needs help to fund this $1,176 procedure. Michael says, “When I grow up, I want to be a driver." Emmanuel is a farmer from Malawi. He is a husband, father to six, and grandfather to 22 grandchildren. He enjoys chatting with his friends in his free time. Eight months ago, Emmanuel began experiencing pain and urinary difficulty. These symptoms are caused by an enlarged prostate, a condition called benign prostatic hyperplasia. He needs to undergo a prostate resection surgery, a procedure in which surgeons will remove part of the enlarged gland. Our medical partner, World Altering Medicine, is requesting $733 to fund Emmanuel's surgery. On September 20, he will undergo prostate surgery at Nkhoma Hospital, our medical partner's care center. The requested money pays for supplies, medications, and two weeks of hospital stay. He says, "I am very thankful for this program and that you assist the needy when they cannot manage alone." 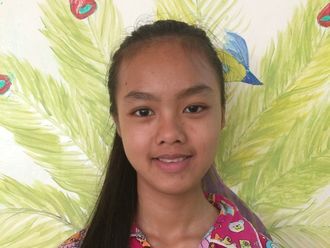 Nong is a sixth grade student from Cambodia. She has a brother and two sisters. She likes studying science and wants to be a tailor when she grows up. She likes to listen to music and do her housework. Two years ago, Nong had an ear infection. This infection caused a cholesteatoma, or an abnormal skin growth, to develop in the middle ear behind the ear drum. For this reason, Nong experiences ear, swelling, ear discharge, and hearing loss. It is difficult for her to hear at school. 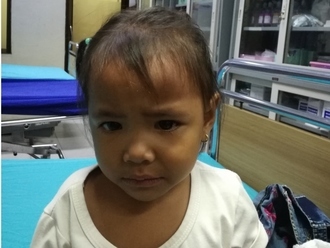 Nong traveled to our medical partner's care center to receive treatment. On September 11, she will undergo a mastoidectomy procedure in her left ear. During this procedure, ENT surgeons will remove the cholesteatoma. Our medical partner, Children's Surgical Centre, is requesting $842 to fund this procedure. This covers medications, supplies, and inpatient care. 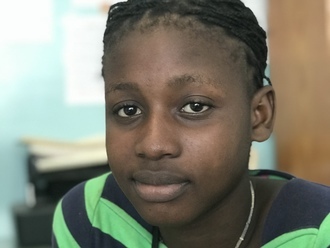 Her mother says, "I worry about my daughter's hearing and hope she can return to school very soon."